Coming off the heels of a fantastic Blockbuster first few weeks, nearly $900 million made at the box office globally, and premiering during Black History Month, there is no denying that Black Panther is just the start of a monumental cultural movement. Black Panther is being touted as not only one of the year’s best films, but possibly one of the most important movies of our time for its display of representation and diversity. As shown by the film, the women of Wakanda are accustomed to being powerful, heard, and revered. These fictional women explored the real-life storied journey of femininity and strength, which did not just end with the film’s closing credits. Much like real life, in the movie, the Wakandan women fight the bad guys, are protectors of both women and men, and make complicated, tactical, and strategic decisions every day. Here, we see the complexity and depth that women bring to the table, not only in film, but at home and work. 1. Highlight women in your organization who are doing great things. 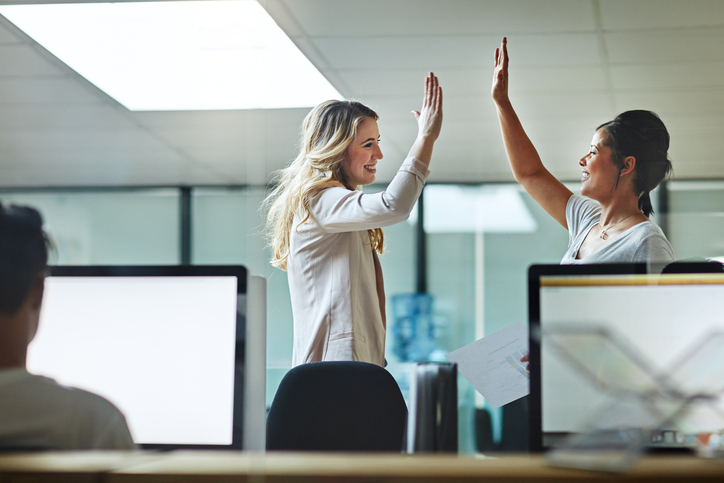 After you put in the time, investment, and effort to hire the most talented employees, make sure you retain that talent by highlighting their accomplishments and giving them a platform to display what they’ve done. Perhaps send out a company-wide email notating the close of a major business deal that would not have happened but for the women on the team. 2. Take a look at your parental leave policies. With the change of family dynamics and more women than ever in the workforce, companies should review and update their parental leave policies. Compared to other industrialized countries, the United States is the only industrialized nation whose government does not support or mandate paid parental leave. This is where the effort of companies comes in. Many major corporations have mechanisms in place that offer generous leave programs, as well as support after leave, including fully paid leave for a year, breastfeeding rooms or breast milk deliveries, and no travel in the baby’s first year of life. 3. Review the promotion and advancement trajectories of women in the organization. Consistently review the number of women in leadership positions, the promotion of women as compared to men, and compensation comparisons in your organization. This brush with the truth enables companies to get down to the real work of engaging in systematic changes. 4. Create a women’s affinity group. With the creation of a women’s affinity group, consider what goals you’d like for this group to accomplish. It should be aimed at professional development, leadership advancement for women, and career support for women. To that end, the team of individuals in this group should include key decision makers and those that have historically sponsored women in the organization. Finally, don’t forget the men. Simply because the group promotes the advancement of women doesn’t mean that there isn’t a seat at the table for men. 5. Allow employees to substitute a day of work for volunteering at a women’s shelter, school, or causes that women are committed to. Make a commitment to using resources to make the world a better place, including offering employees paid time off to volunteer at women’s shelters. With an increased focus on volunteering initiatives, employees’ volunteer efforts are aimed not just at feeling good, but also at having a long-term, strategic impact where it matters. While one movie won’t rectify decades of gender misrepresentation in Hollywood and America, what Black Panther does is highlight the importance of women in the workplace, specifically in positions of influence and power. The truth is, we all progress in a society where women are promoted, celebrated, and praised for the value they bring to our homes, communities, and our workplaces. 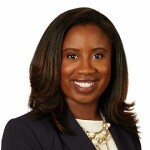 Rachel Kelly’s practice focuses on providing advice and representation to employers regarding labor and employment law matters, including discrimination, retaliation, wrongful termination, harassment, worker's compensation, and wage and hour disputes. She represents clients in employment litigation before federal and state courts and administrative agencies. Prior to joining FordHarrison, Rachel was an associate in the Dallas office of a large national labor & employment law firm. Find her on LinkedIn here.